Adobe today released Photoshop.com Mobile [App Store, Free], an application allowing users to edit photos on their iPhone using simple gestures. It's now easy to improve photos on your iPhone. Choose between a variety of one-touch Effects, or simply drag your finger across the screen to quickly crop, rotate, or adjust a photo's color. 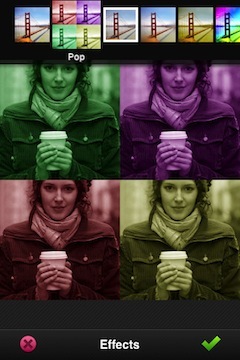 Get artistic by applying Filters like Soft Focus or Sketch. Never fear. Photoshop.com Mobile lets you undo and redo changes until you get just the picture you want, and we always save a copy of your original photo. The application also provides integration with Photoshop.com, Adobe's online photo editing, storage, and sharing service, providing 2 GB of free storage to registered users. Photoshop.com for iPhone gives you complete access to your entire online photo library directly from your Photoshop.com account. Relive the memories and laughter with your friends and family anytime, anywhere. 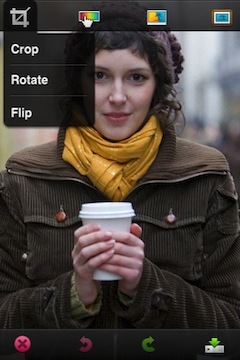 Show off all of your favorite photos with instant slideshows. It's like keeping thousands of photos right in your pocket!